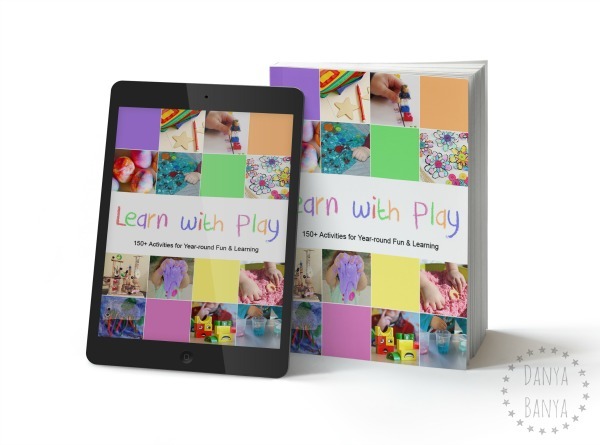 I’m so pleased to announce a brand new book called Learn with Play: 150+ Ideas for Year-round Fun & Learning, that I’ve co-authored with some of my blogging buddies from the Kid Blogger Network. I have to admit that I’m a tad excited! I’ve got a few books on my bookshelf written by some very talented friends of mine, but this will be the first time that a book with my name on it will appear alongside them. One of our ideas even made the (back) cover! The physical printed book is available on Amazon for US$29.95. The Kindle edition is available on Amazon for US$14.95. The ebook is available for US$14.95. 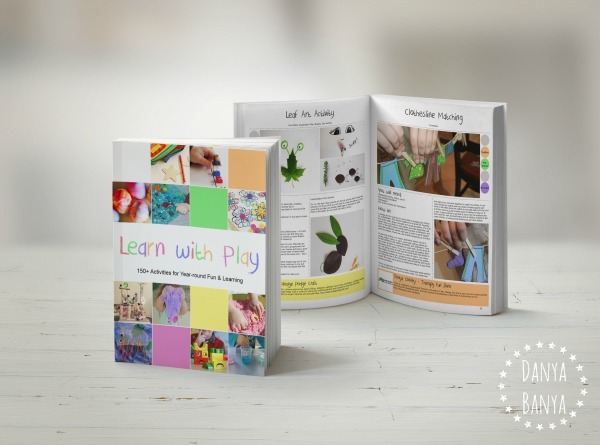 With loads of activity suggestions for babies, toddlers, preschoolers and kindergarteners, I reckon this would make a great baby-shower or first birthday present. Fun ideas for years and years! To buy now, click to choose either the physical printed book, the Kindle edition, or the downloadable ebook. Or check out our new shop for more fun and creative gift ideas. PS: If you do happen to get yourself a copy – fist bump, and thank you!! Could I ask another HUGE favour? Would you mind reviewing it on Amazon for me, pretty please? Honest reviews are awesome, they don’t have to be long, even two word reviews really help with a book launch like this, so if you could spare a minute to let Amazon know you liked it, I’d really appreciate it. Thanks so much!! * This post contains affiliate link(s). An affiliate link means I may earn referral fees or commissions if you make a purchase through my link, without any extra cost to you. It helps to keep this little blog afloat. Thanks for your support.